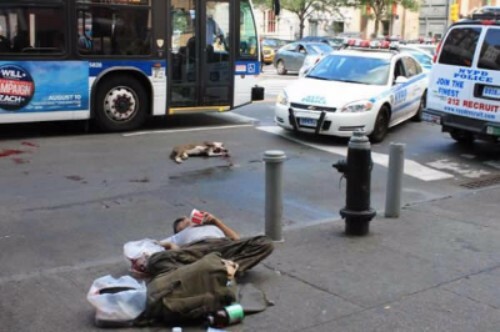 On August 13, 2012, a homeless man had a seizure on a New York City sidewalk. According to several witnesses, the man and his dog, Star, were frequent visitors to the area. Many witnessed the seizure and alerted nearby police officers who were soon on the scene. Meanwhile, Star stayed near her master. Two NYPD officers, who initially responded, called for backup. When one officer came close to her master Star charged the officer, the officer drew his gun and shot Star in the head. As Star lay critically wounded and bleeding, a second officer maced her. Star was reported dead, but miraculously survived the shot to the head and spent months in recovery. Her story caught national and international media attention, as well as Wikipedia (https://en.wikipedia.org/wiki/Star_the_Dog). 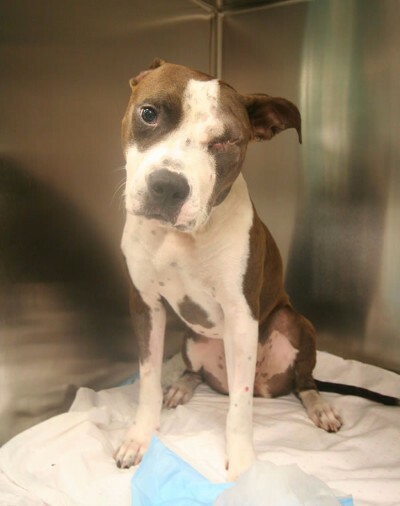 At the time she was shot, a Facebook page was created in her honor (https://www.facebook.com/StarTheNewYorkPitBull) and highlights dogs that are in need. A man in Nebraska - who followed her story since day 1 and created her Facebook page, ended up adopting Star. 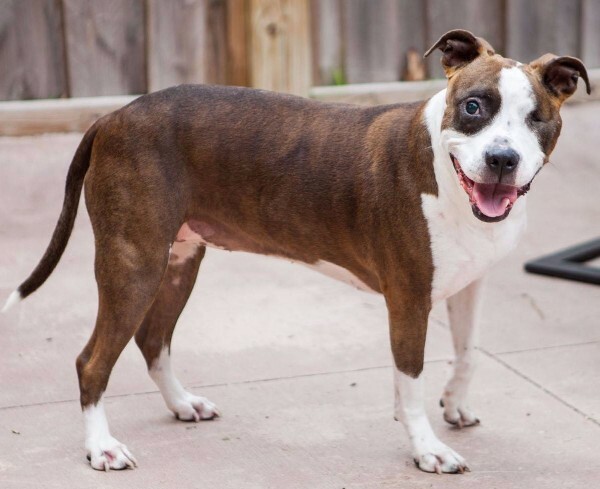 In April 2011, Star joined her new family halfway across the country. Countless dogs were rescued in Star's honor, including her fur-sister Sadie from Hamden, Connecticut and her fur-brother Browny from Brooklyn, NY. They all joined Pete, their fur-brother, a puppy mill survivor. Star's nonprofit organization, The STAR Project was formed in August 2015. Star continues to make friends with her signature smile and large, floppy ears. You can find Star at the local Starbucks enjoying some whipped cream, or at the local Walk to END Alzheimer's Walk sporting her purple tutu. She loves to tell her story (well, her human does!) and what she is doing to help other animals in need. Want to meet Star and hear her story? Send her an email to star@thestarprojectinc.org and one of her humans will get back to you!